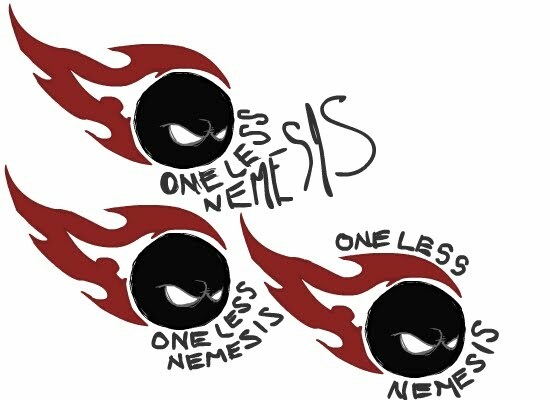 In our first blog post about sharing our journey of building this business, we talked about where the idea for One Less Nemesis came from and how we've come to realize that our brand is truly about pursuing your passions in life. In this post, we're going to talk about the next stage of our brand development, which was the business of starting a business. Ted had this truly amazing idea but there was so much more to be done to put that idea into action. There are so many details, like hiring a lawyer to create a Limited Liability Corporation and then consulting an intellectual properties attorney to trademark the house mark of One Less™ (thankfully, Ted handled all of this before I was even involved). With those initial important start-up business functions done, Ted needed an artist and a t-shirt printer. He was the man with the idea but he had to have outside help to execute it. 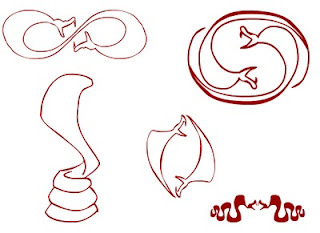 First he met with a graphic designer and the ensuing discussion resulted in some interesting original logo designs. I'm not sure how the fighting snakes image first was introduced, but our early logos looked like the circular snakes above. Well....that didn't really work for us. There is a difference between an artist and graphic designer. The graphic designer can make visual art and design without necessarily being a free-hand artist. So we called an artist whose work I had admired for over a year. Tarl Lambson (see his samples and website/contact at www.tarlsscribbles.com) is actually an animator who is uber talented. He first started working on the One Less Skier designs that inspired Ted's idea in the first place. 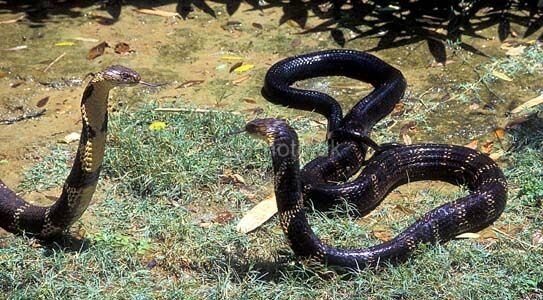 But we really needed a logo so he and I began researching snakes and went through a series of pictures for inspiration like this fighting snake picture. Tarl then gave us some sketches which did not end up being what we chose, but they were so cool... I'm not sure when or how we morphed beyond the snakes but I'm pretty sure Tarl and Ted expressed how they were digging on the bomb. 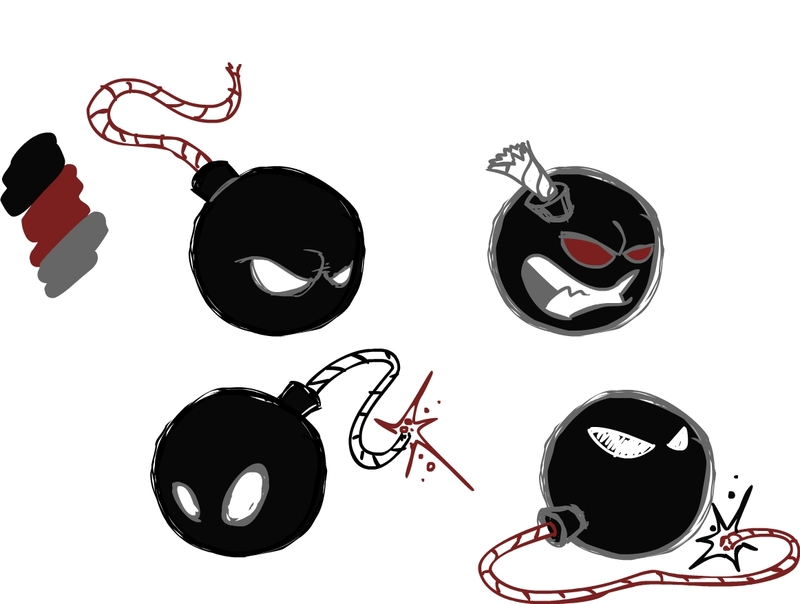 Here is one of the early iterations of bomb variations: Love these guys!!! Of course, I really liked these versions, but they were thought of as 'flying sp.....' well, you know what we thought. At the same time, Ted was researching printers in the Seattle area and he met with Gorilla Screen Printing. Ted was adamant about using the discharge process when printing. This process actually removes just a bit of the shirt's dye and embeds the design so when you wash your tee, the design is actually part of the fabric, smooth and soft to the touch. We also went through a few different t-shirt vendors, searching for just the right super-soft, high quality, 100% cotton shirts (the shirt has to be 100% cotton for the discharge ink to work.) We tried American Apparel but in the end, found that JS Apparel shirts fit the best and were the softest. So we worked to cooperatively design a logo we all loved, found shirts and a printer. We still needed some designs to print on these great shirts! In my next post about sharing our journey, I'll include some of the early designs and how our various passions inspired the wide range of shirts we have today. Getting Ready for LA FitExpo!